Samsung is coming hot off the heels of its Galaxy S10 series with an industry first, the Galaxy Fold. The first foldable phone to hit mass market costs a pretty penny, but if you’re interested in picking it up, here’s where to buy the Samsung Galaxy Fold. No matter where you decide to purchase the Samsung Galaxy Fold, you’ll be paying $1,980 for the privilege of owning the first foldable smartphone. Of course, that can be broken down into payments if you choose to do so. For example, AT&T offers the device with monthly payments as “low” as $66/month. The first place you’ll want to check out for the Samsung Galaxy Fold is Samsung’s own online store. There, you’ll be able to pre-order the device. 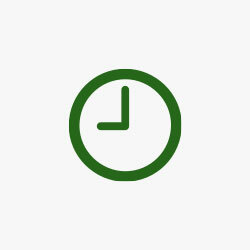 However, at the time of writing, Samsung says that pre-orders have “surpassed expectations” and it isn’t accepting further orders at this time. When the device is back available, it’ll cost $1,980. For carriers, your only choice for pre-orders at the moment is AT&T. The carrier offers the same $1,980 full price tag, but you can (and probably should) break that down on payment plans. Over the course of 30 months, the device costs $66/month. Right now, AT&T is also your best bet for getting a device soon, as estimates pin the availability on April 25th. T-Mobile is the other major carrier offering the Samsung Galaxy Fold at launch. We know that you’ll be able to buy it for $1,980, but the Un-Carrier has yet to detail its payment plans. Most likely, buyers will be required to make a hefty down payment on the device. Pre-orders open at T-Mobile for the Galaxy Fold on April 25th at 12am ET ahead of the April 26th launch. 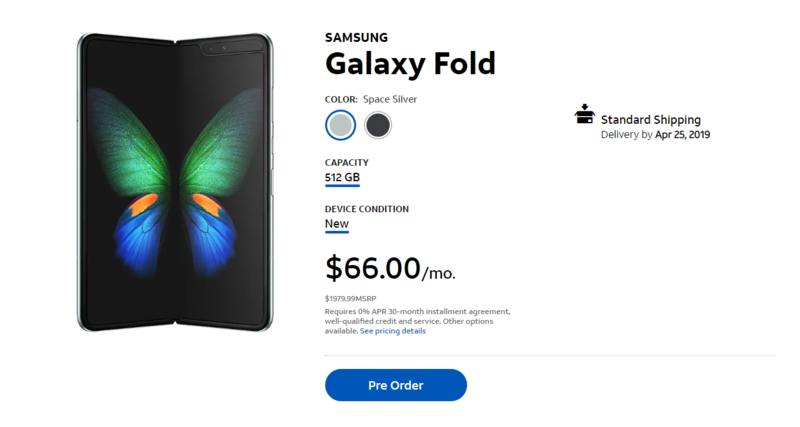 Best Buy also has a landing page out for the Samsung Galaxy Fold, but retailer currently has no details on the device. It’s unclear right now if it’ll be sold unlocked or if carrier variants will be sold there.